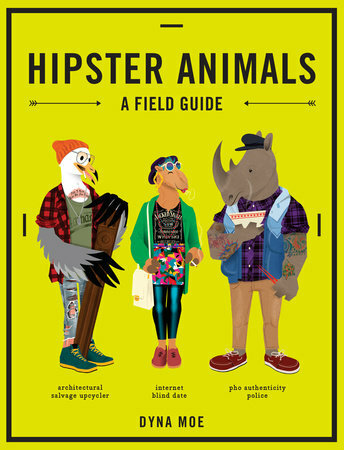 Review Hipster Animals A Field Guide by Dyna Moe - Sam Enjoys & Shares! Hipster Animals – A Field Guide by Dyna Moe is an illustrated humor book. It is a fun read. If you are looking for a fun gift for that friend who spends time trendspotting or mocking trendspotters, then look no further! Disclosure: I received a complimentary review copy of Hipster Animals by Dyna Moe through the publisher and Blogging For Books. Hipster Animals offers tongue and cheek jab at the various stereotypical “hipsters”. When I opened to a random page, I chuckled out loud at the first entry. I opened another and it also cracked me up, though with a slightly nervous edge as I kind of recognized myself in it! #Don’tJudge! Hipster Animals A Field Guide revolves around full-color illustrations of anthropomorphic animals styled to represent different archetypes of hipsters. I had no idea there were so many species of hipsters! The illustrator and author previously worked with in the advertising world and provided illustrations for the AMC hit Mad Men. The colorful, whimsical illustrations fit the gently snarky humor. Hipster Animals is a book to browse, rather than to read cover to cover. I typically lose interest after a few pages. It is a fun book for light browsing alone or with friends. Hipster Animals was a conversation starter at a few of my parties and game nights. That’s a fun book..I know a few friends who I could give this to for christmas.